Download the Bursary Handbook 2017 . 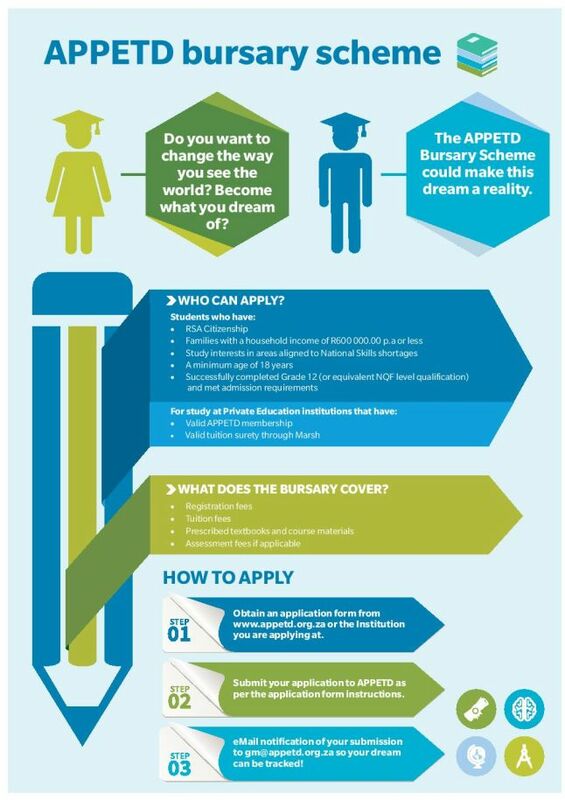 For more information, kindly contact APPETD on info@appetd.org.za or tel. 011 791 5463 or visit www.appetd.org.za .